I hope you had a great weekend. We had a busy one. I spent all of Sunday afternoon working in my front yard. I bought new landscape lights, mulch, and decorative rocks. I was going to leave it for the gardener to take care of, but figured I'd rather spend that money on something else. Unfortunately, I was short about 4 bags of mulch/pine bark and 2-3 bags of rocks. Hopefully, I'll finish it up this week. I have a chair that we found a while back for you today. I had photographed it, but forgotten to post about it. We found it at a thrift store for $20.00. I gave it a coat of grey Rustoleum Spray Paint. 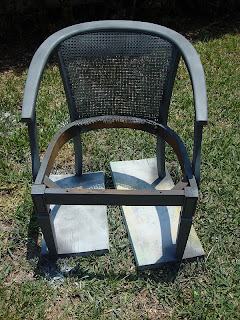 Then I gave it a coat of Metallic Silver Rustoleum spray paint and glazed the chair. I used the same technique that I used on my sister's metallic table. Here she is. 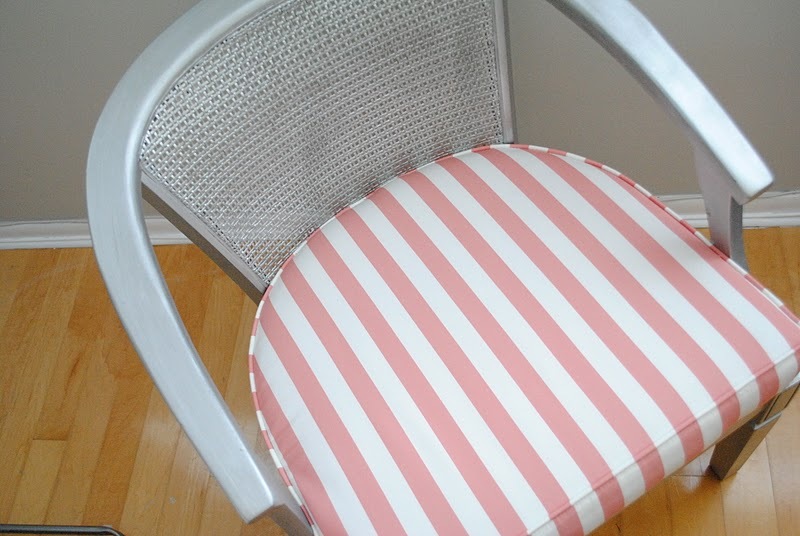 We had it upholstered in a pink and white striped fabric. super cute! i love the metallic finish- adds some drama! Love how the chair look. amazing what a little paint and fabric can do. btw, I'm not getting an error from your blog. 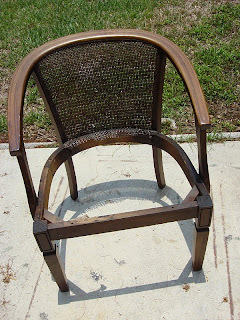 Beautiful chair! 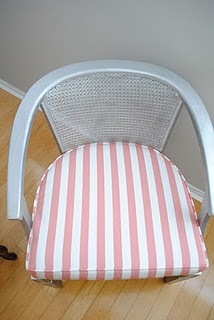 I love the silver mixed with the pink and white stripes. I'm not getting an error (viewing with Google Chrome). Fantastic!! Love the metallic paint, so glam!! 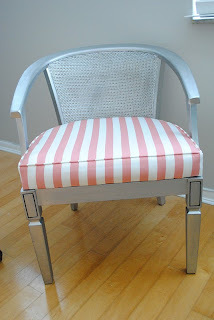 I love how the metallic finish and stripes go so well together! This looks awesome! Visiting from Miss Mustard Seed. I have a link party going all weekend, would love if you could come over! Fantastic makeover! Thanks so much for sharing at this week's BFF Open House! Simply beautiful, Thanks for sharing at Beyond the Picket Fence! I really like the metallic paint! What a difference! The chair looks amazing! I've never use that spray paint! Thank you for sharing at Simply Creations Link Party! Great silver & stripes combo! 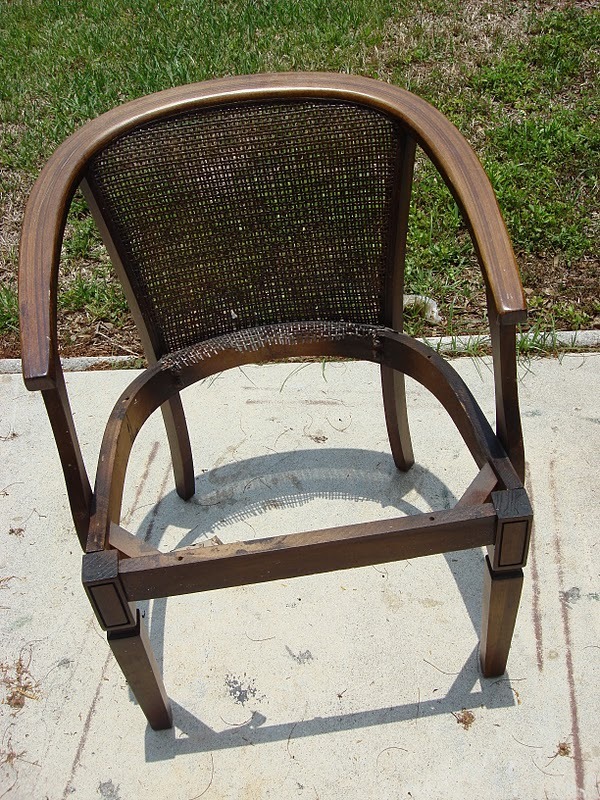 The chair looks so light and fun now! cute! this would be a great addition to my blog party. I hope you'll join! !